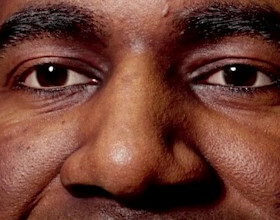 Originally posted on 23 May 2018. Scroll down for news of the 1.1 update. Next Limit Technologies has released RealFlow | Maya 1.0: a new edition of its fluid simulation software for Autodesk’s 3D modelling and animation package. The plugin integrates directly with native Maya technologies like nParticles and MEL scripting, and includes key features from the standalone edition of RealFlow, including the GPU-based Dyverso multiphysics solver. Howver, the premise is the same as RealFlow | Cinema 4D: a cut-down set of features, provided at a lower price than the standalone edition, and more tightly integrated with the host application’s native tools. As with the Cinema 4D version, that includes Dyverso, the GPU-based – and since RealFlow 10, multiphysics-capable – solver, which means a choice of liquid, granular, viscous and viscoelastic fluid simulation. Dyverso also supports both CUDA and OpenCL, so it should work with any manufacturer’s GPUs. In addition, you get around two thirds of the control daemons from the standalone edition of RealFlow, and native support for Maya’s own control methods, including nParticles and MEL or Python scripting. What you don’t get are the standalone edition’s more-Bifröst-like Hybrido liquid solver, Caronte rigid- and soft-body dynamics system, and RealWave ocean surface toolset. Completed simulations can be meshed in OpenVDB format – unlike the Cinema 4D plugin, you can also import or export Alembic files – or rendered using any Maya renderer. Updated 5 November 2018: Next Limit has released RealFlow | Maya 1.1, adding a new Visualizer daemon for previewing force fields applied to a simulation in the viewport. Other changes include the option to generate a colour set based on velocity when meshing a simulation and new frame offset options when working with caches. You can find a full list in the online changelog. 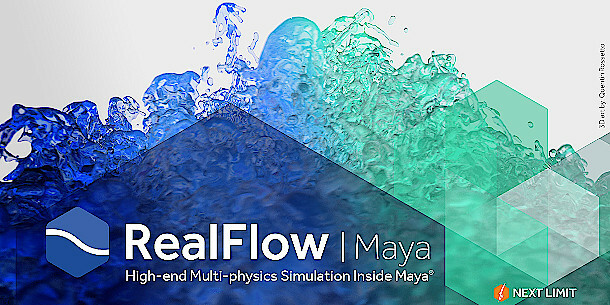 RealFlow | Maya 1.1 is available for Maya 2017+, running on Windows, Linux and macOS. As with the Cinema 4D plugin, a node-locked licence costs $795 – $300 less than the equivalent node-locked version of RealFlow 10 standalone.